Cirlock has been providing a full range of Lockout Equipment for energy sources in all Industries since 1992. The company’s ever expanding catalogue, includes the Standard Scissor Hasp with Anti-twist protection. 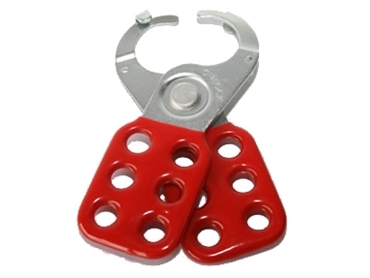 Ideal for lockout situations involving more than one person, Cirlock's Standard Scissor Hasp is a plated steel lockout hasp with 25 mm diameter jaws. The lockout hasps enable up to 6 workers to lock out the same point on machinery. It features an inbuilt anti-twist opening protection.